Build your business Build your brand with glamorous facials designed to take your skin treatment room to the next level. Results orientated skin treatments within the spa environment that are layered and customized specifically for your client’s, guests and patient’s needs. Each designer facial comes with protocols, videos, online education and more. We will work with you and your team to make sure consistency of each treatment remains at the highest level. The Elaine Sterling facial is our signature European facial treatment that includes our microdermabrasion in a jar and is customized according to your client’s skin type and skin condition. The deep cleansing facial utilizes our innovative Vita C Micro exfoliant a 2 step foaming mini peel that is packed with lactic acid, ascorbic acid, and mandelic acid to gently exfoliate, brighten and pre-treat the skin prior to extractions. 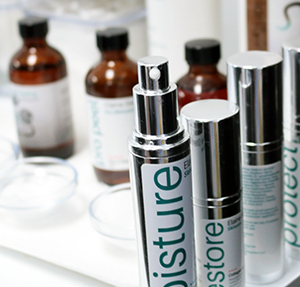 The luxurious facial incudes the Elaine Sterling’s signature face and décolleté massage. Our yoga in a jar offers the skin a burst of oxygen to gently exfoliate, brighten and sterilize the skin. The perfect skin treatment for hyperpigmentation and acne. This 2 step foaming oxygen treatment can be applied prior to extractions for acne or at the end of the treatment if your facial is geared to towards treating hyperpigmentation. We teach you 3 innovative ways to remove the oxygen once activated to elevate the glamour. 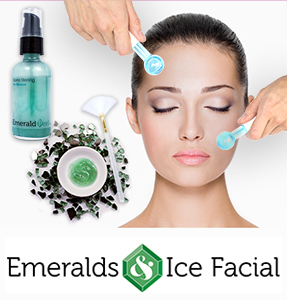 The Emeralds and Ice Facial is a multi-step, luxurious facial treatment that provides clients with clinical results. The Emerald Peel includes a blend of AHAs and precious minerals which restore the complexion through their exfoliating and nutritive properties. The treatment incorporates an Ice Massage which uses cool crystal globes to help soothe, tone and lift the skin. Bump up the Pro C Peel facial by utilizing the Vita C Micro exfoliant 2 step foaming system prior to applying the Pro C Peel. Gentle pre-treat the skin to assist in the removal of dead skin cells, dirt and debris thus allowing a more potent and powerful peeling of the skin. The Double C Facial will leave your client’s skin glowing. Regenerate your skin with this AHA, BHA anhydrous no down time peel that can be performed in many innovative ways. One to three layers on the entire face or layered only in the areas of concern. 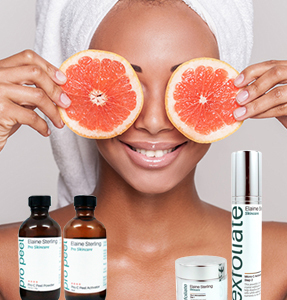 Salicylic, Lactic and Citric acid will help restore and renew your skin by gently exfoliating to reveal a more youthful, healthy glowing skin. Our innovative removal of the peel utilizes a flash system that will aid in decreased sensitivities and expedited healing time. This no down time peel is applied over our Peel Prep Solution to further assist with brightening and reducing irritation. This ultra-dramatic peeling system enables you to layer our Peel Prep that is packed with anti-inflammatory actives under the Pro C Peel. Once both layers are dry you add the SLC peel as the third layer. The flash system is used to neutralize the peel allowing your skin to get the glow and target fine lines and wrinkles. 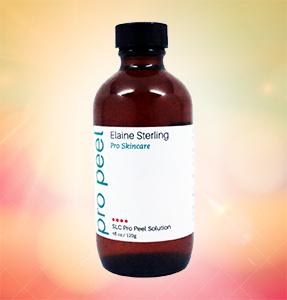 This peel is also perfect for more acneic skin conditions. Our Vitamin C Peel is the perfect peel for all skin types. This anti-oxidant peel will gently exfoliate and brighten your skin. 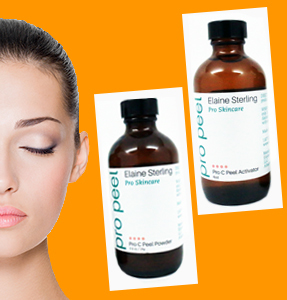 Renew your skin with our no down time anhydrous peel that is layered over our Pro Peel Prep. We teach you how to use a flash system to remove this peel that assists in accelerated healing and soothing of the skin. This gentle peel can be performed more often giving you results without irritation. 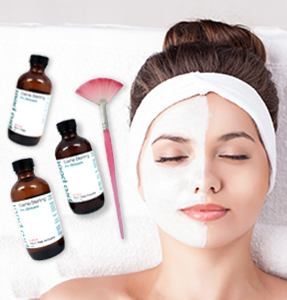 Brighten and renew your client’s skin with this designer facial. 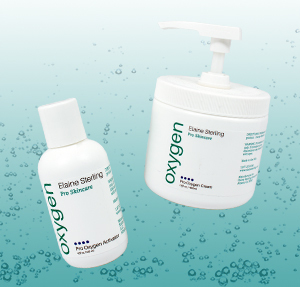 Our foaming 2 step oxygen treatment is performed and combined with our powerful SLC peel. This facial will reveal a more glowing skin and is perfect for the client that is concerned about dullness and hyperpigmentation. Our targeted results orientated acne facial combines our foaming 2 step oxygen treatment with the Pro C peel to assist in reducing inflammation, redness and bacteria from the skin. This no down time results orientated facial will restores your client’s skin. The “yoga in a Jar” oxygen and Peel treatment is the acne solution!